Coated with plastic to resist changes in moisture and climate. Ideal for outdoor use or for doublers making quick instrument changes. French filed for fast response The durable coating provides a clear, projecting tone for pop/rock/funk work. Good reeds, keep coming back to them. These were recommended to me by a band colleague and I have been very pleased with them. I have seen reviews complaining that they don't have a consistent quality throughout a box of 5. 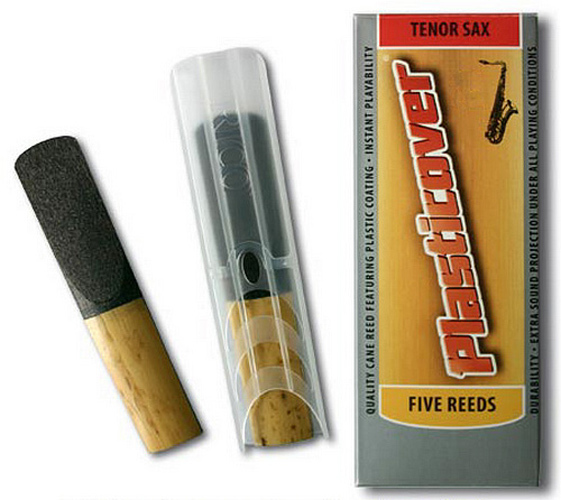 Well, they are natural reeds with a plastic coating, as the name suggests, so what do they expect!!! Comparable strength to the Rico orange box reeds. Very good reeds. Reed strength values are not particularly consistent. Used before so know what they are like. If you haven't got time to prepare a reed then these are great. Reed strength seems to vary considerably, making one or two of the box not up to performance standard. This is not a reflection on Dawkes Music,The issue is with Rico's Quality Control.